At its best, Chef/Owner Michael Tusk’s cooking artfully blends elements of innovation and tradition in dishes that are inventive and bold, with a touch of the whimsical. This dinner at Quince was full of highlights, even if there were a few rough spots. Regardless, we had a great time. Ordinarily, I advise readers to avoid Valentine’s Day and the days around it, as this is quite possibly the single worst time of the year to eat out. But schedules are what they are, and I found myself with a last minute reservation at Quince for dinner with two of our engineers at Delectable for what turned out to be a pretty outrageous staff meal. We were seated in the salon bar area, which was fine. But as the evening wore on, it became increasingly distracting to look at an emptying dining room from the outside. The staff should have moved us, and the person dining next to us (who was alone), into the main dining room as soon as tables became available. That might sound like a fine point of hospitality, but it is exactly attention to the smallest details that separates truly world-class establishments from the rest. Our meal was very enjoyable, although there were a few misses. Quince offers two tasting menus, priced at $180 and $220, before supplements, but including service, so dinner is not inexpensive. We opted for the longer tasting menu and let the kitchen do the rest, which included two courses that weren’t on the menu we received at the end of the night; the Acquerello Risotto and Tortellini. Service was impeccable. 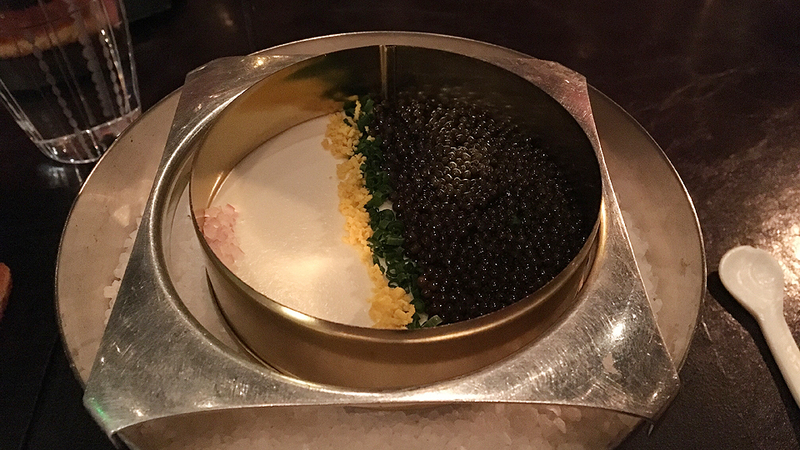 If anything, having the toasts served with the caviar replaced immediately after a few minutes of conversation was a bit of overkill. But that is a small critique. Nearly every course was superb. 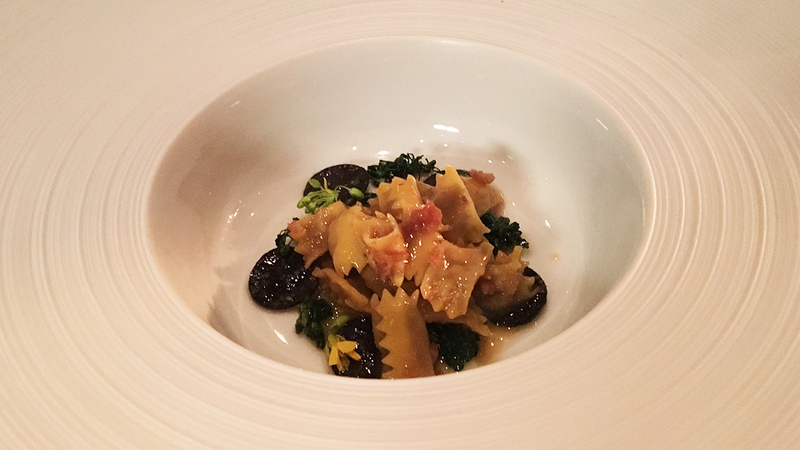 I especially enjoyed the many pasta courses, where Tusk seems to have a gifted mind and a magic touch. 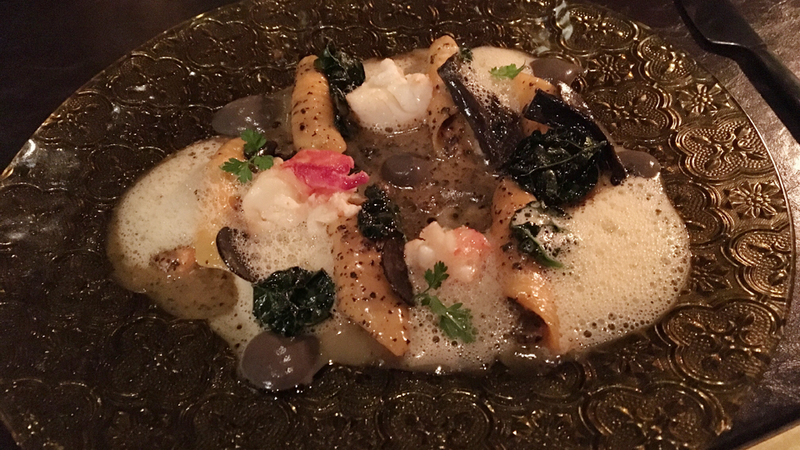 The Garganelli with Lobster, Black Cabbage and Black Trumpet Mushroom was rich, luscious and deeply satisfying, while the Bottoni with Pumpkin, Lapsang Souchong, Parmigiano Reggiano was a delicious interpretation of a traditional filled pasta found throughout northern Italy. 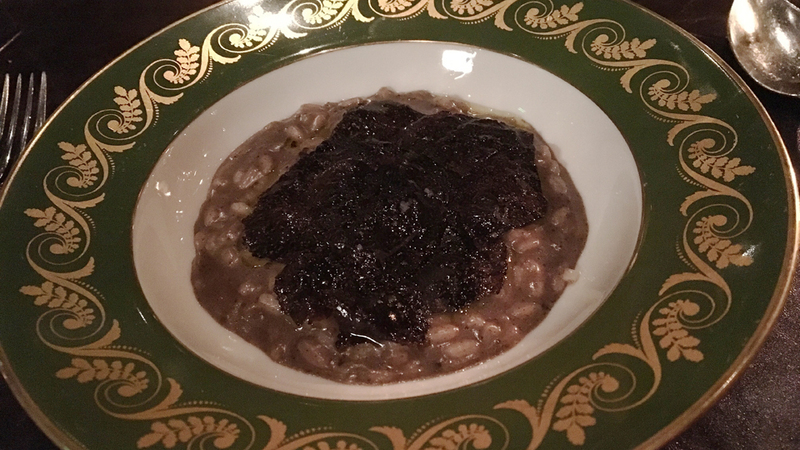 We added the Acquerello Risotto with Black Truffle to our menu. It sounded better than it tasted. I don’t understand the logic of taking a famous rice, extolling its many virtues, and then covering it up with excess seasoning. I would have preferred the rice to be cooked a bit more al dente, but that is, admittedly, highly subjective. The black truffle topping had a texture I can only describe as being akin to that of a fruit roll up. This was the only dish of the evening that was truly disappointing. Agnolottini with Paine Farm Squab, Broccoli di Cicco and Perigord Truffle got things back on track in style. A portion of very simple Tortellini with Butter and Parmigiano Reggiano showed how satisfying the classics can be. I found the Marcho Farms Veal with Swiss Chard, Hedgehog Mushroom and Celeriac tasty if not especially memorable. Although I am not a big fan of sweets, Quince’s dessert courses were all terrific. Our wines were all fabulous. Olivier Collin is one of my favorite growers in Champagne. His wines are radiant, vinous and soulful. The NV (2010) Blanc de Blancs Les Pierrières was the perfect wine to kick off a winter dinner. Rich, sumptuous and endowed with character, the 2010 is even better now than it was upon release. I was surprised to see Wine Director Jeff Kellogg serve Miani’s 2014 Friulano, a wine from one of the most difficult vintages ever in Friuli. The Friulano was the best of the Miani 2014s when it was first released, and it actually showed quite well, especially with the food. The steeliness of the year played off the rich, sumptuous flavors of some of the early courses nicely. 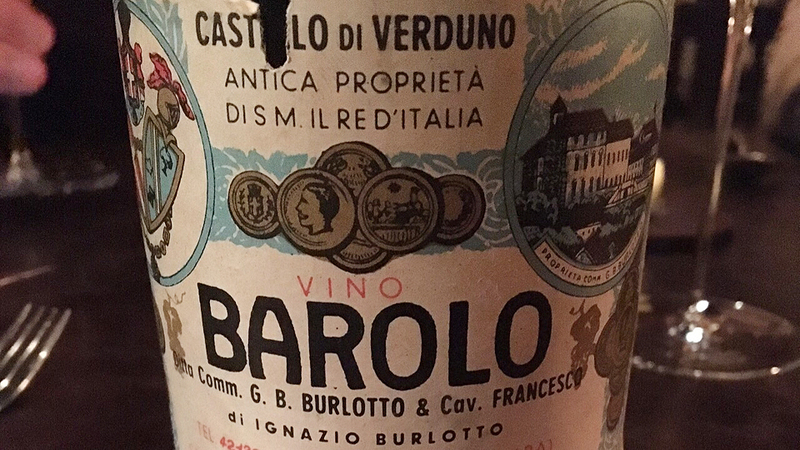 I couldn’t resist Castello di Verduno’s 1964 Barolo. Intensely aromatic, lifted and translucent, the 1964 captures the sublime refinement that only Nebbiolo is capable of. In the glass, the 1964 is hauntingly beautiful and utterly captivating. We are drinking history. What a gorgeous bottle of wine. Borgogno’s Barolo Chinato Classico Stravecchio is the perfect conclusion to this rich meal. By the time dinner was finished it was close to midnight. I got the distinct feeling the staff wanted to get everyone out. I waited tables when I was starting out, and know first-hand how brutally hard the restaurant life is. But guests can never be aware of that. Especially at a world class restaurant. And every guest must be treated the same. I did not see that, either. Even so, I would have no hesitation returning to Quince, although my expectations won't be quite so high the next time around.